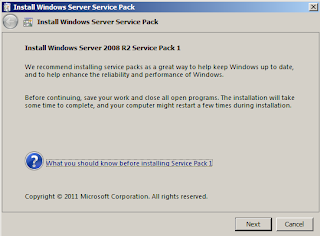 The following walkthrough will run through the steps to update a Windows Server 2008 R2 Enterprise Hyper-V Cluster to SP1. 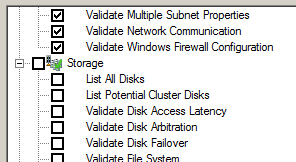 The Hyper-V R2 hosts we are using here, have never received a Windows patch since first build. Note: If you are using SCVMM2008 R2, recommend upgrading this to SCVMM2008 R2 SP1 first! i. Before starting make sure your backups are secure and you know you can restore those backups. 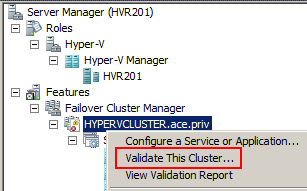 (Optional) Run a cluster validation test before starting but don’t do the full cluster validation test as this requires some cluster downtime. Recommend omit storage tests. 4. Reboot the node first to make sure it is in a clean state. 5. 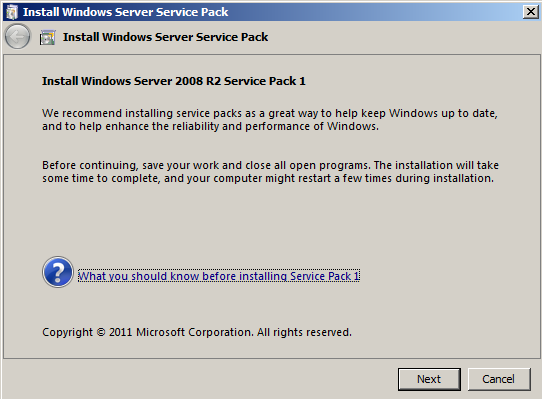 Double-click to start up the Service Pack 1 file, and follow the prompts to install it. Note: Should take around 30 minutes and multiple reboots might be needed. 7. (Optional) At this state you might want to apply further Windows and Microsoft updates. At the time of writing there were around 60 post SP1 updates, and to download (on 2 Gbps) and apply the updates takes a good 30-45 minutes. One of the updates post SP1 is IE9, this will wait for a prompt to be acknowledged – yes or no – before applying. i) Initiating changes for package KB976932. Current state is Absent. Target state is Installed. Client id: SP Coordinater Engine. ii) Package KB976932 was successfully changed to the Installed state. Note 2: if an extra reboot is required you’ll see an extra entry in between these stating “A reboot is necessary before package KB976932 can be changed to the Installed state” in which case reboot! 11. Live migrate guests from the next node to the node already upgraded to SP1 and repeat 1 to 9 until all nodes are upgraded. 12. It is recommended to run a Cluster Validation after the upgrade of all cluster nodes has finished – remember to omit storage tests (see above)! 13. Finally, update guests VMs with the new SP1 version of the Hyper-V Integration Components (Action > Insert Integration Services Setup Disk.) The guests will require a reboot to complete to installation. Note: If you have SCVMM2008 R2, you can use it to update multiple. With Hyper-V R2 SP1 installed and the Integration Components updated, you can take advantage of the Dynamic Memory and RemoteFX features. 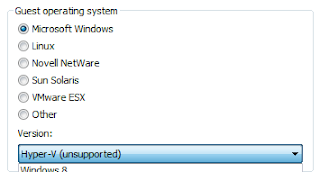 In the lab we were running Hyper-V inside VMware Workstation 9 – which is perfectly possible, just remember to select/change the Guest operating system to ‘Microsoft Windows Hyper-V (unsupported)’. If not you’ll see the ‘Hyper-V cannot be installed’ message when you attempt to tick the box for the Hyper-V role in server manager. The Hyper-V (unsupported) option is a new feature of VMware Workstation 9. You will not be able to run nested guests under Hyper-V inside VMware Workstation 9 until Service Pack 1 is installed. One minor issue encountered was that the Hyper-V Virtual Machine Management Service hung on one of the hosts whilst it was shutting down. Left if for about 20 minutes until it became obvious it was stuck, then easy fix was just to kill vmms.exe from the DOS CLI on another server. Note 1: This is logged in with a domain account with administrative privileges across the hosts. Note 2: The VMM service only hung on one host; this could be because I had not disabled the AV service (Symantec Endpoint Protection) on the host which I did for the others. Note 3: Because of the time it was taking to apply the service pack (one host took 2 hours), ended up patching two of the three hosts at the same time (two paused hosts,) and this worked fine. Here we had the luxury of being able to shutdown all the guests. Hi Hugh, thank you for the comment. Cheers!